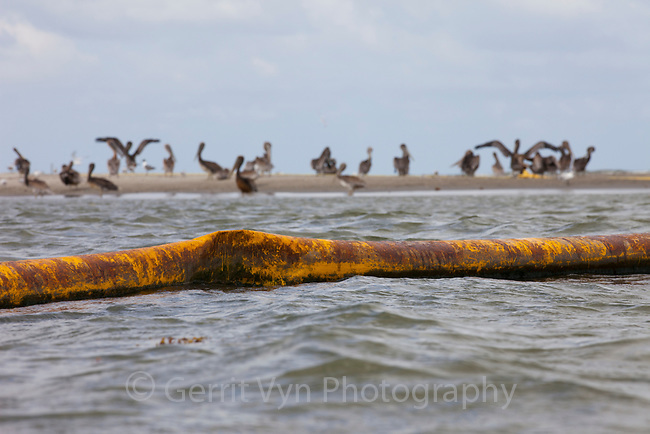 Oiled Brown Pelicans (Pelecanus occidentalis) sitting on a beach behind an oil covered boom. This nesting colony is teh largest in Louisiana and was heavily oiled by the BP spill. Raccoon Island, Terrebonne Parish, Louisiana. July 2010.